Carry your baggage towards silence, when you seek the signs of the way. 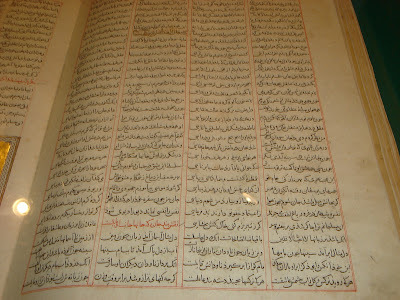 (Rahmatul Laahi ‘Alaieh) (Persian: جلال‌الدین محمد بلخى‎), also known as Jalāl ad-Dīn Muhammad Rūmī (جلال‌الدین محمد رومی), and more popularly in the English-speaking world simply as Rumi (30 September 1207 – 17 December 1273), was a 13th-century Islaamic poet, jurist, theologian, and Auliyaa Allaah. Iranians, Turks, Afghans, Tajiks, and other Central Asian Muslims as well as the Muslims of the Indian subcontinent have greatly appreciated his spiritual legacy in the past seven centuries. 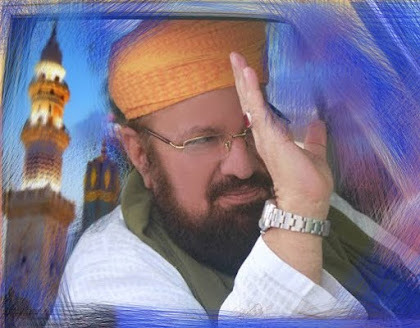 Jalal Ul-Din Muhammad Ibn Muhammad Rumi. Jalal al-Din Muhammed ibn Mohammed Rumi. Jalal al-Din Muhammad ibn Muhammed Rumi. the greatest mystical poet of any age. (Rahmatul Laahi ‘Alaieh)’s mother tongue was Persian, but acquired knowledge of Arabic as a child while learning to read and recite the Qur’aan. Following his family’s migration to Anatolia, he also learnt Turkish. 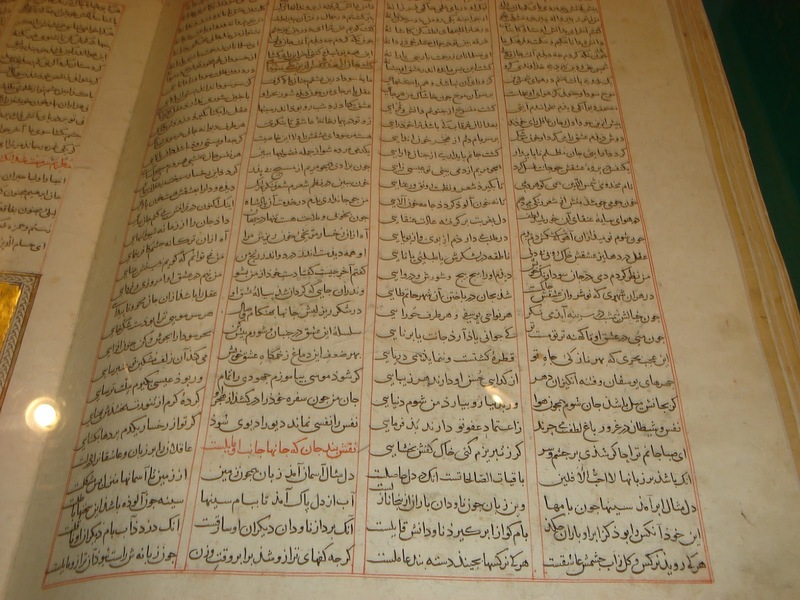 His intimate knowledge of these languages is reflected in his writings, which although written mainly in Persian contain passages in Arabic and Turkish. His three major works are generally referred to as the Masnavi, Divaan-i Shams-i Tabrzi, and the Fihi Maa Fihi. 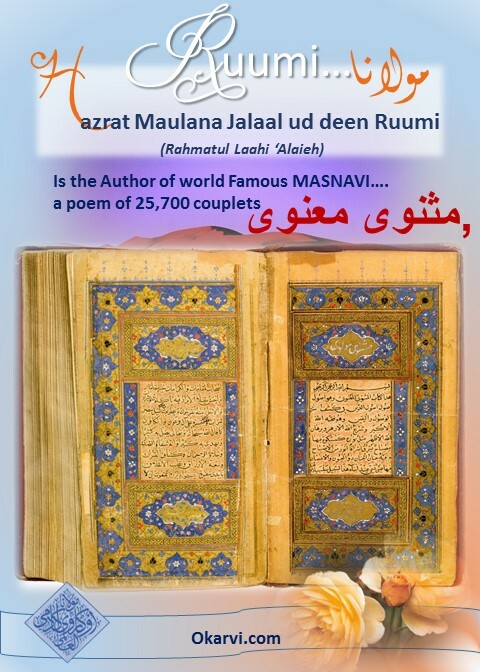 "Rhyming Couplets of Profound Spiritual Meaning") was the result of his disciple initial request for Maulana Ruumi to write a short ‘teaching’ poem. It takes the form of an extended poem, 25,577 verses long, and comprises six books, each with a prose introduction. 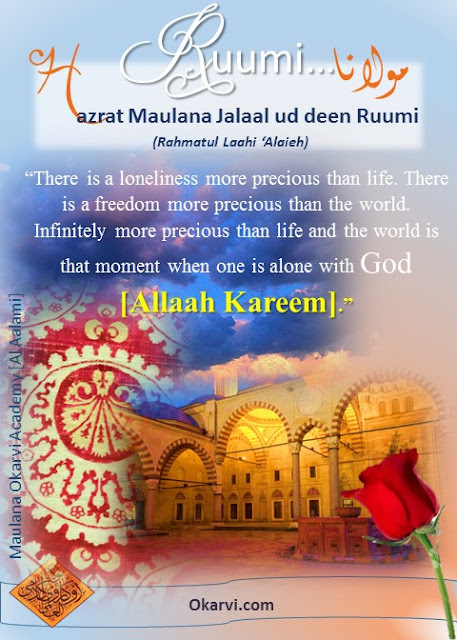 It is an exceptional work, not only in length but also in style and content, for it blends traditional tales, parables, anecdotes and legends about the Soofie saints with stories about the prophets, and commentaries on the Prophetic Traditions and passages from the Qur’aan. It is considered by many to be one of the greatest works of Soofie poetry.